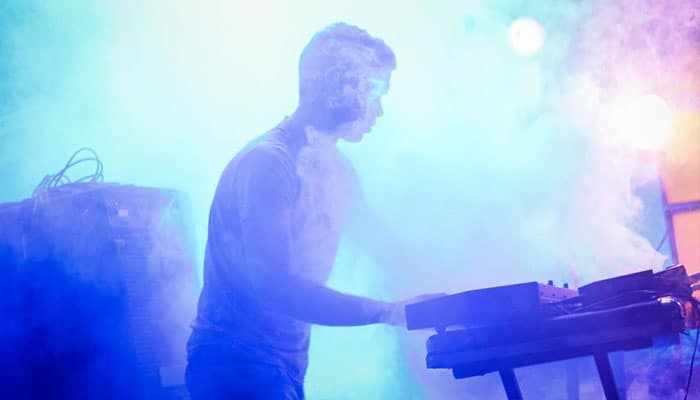 For many musicians, a digital piano is a must they simply can’t live without. For this reason we thought it would be a good idea to make a list that can help you find the best digital piano under $1000. We have done a lot of research and found ten great instruments that we think you should consider in your piano hunt. No matter if you’re a beginner, an intermediate player or a professional, we’ve got something for everybody in this list! When you read through our reviews, make sure to check out the YouTube videos we’ve linked to as well, so that you can hear the pianos. After all, what they sound like is one of the most important things, right? We really hope that you will find this list useful, and we are also going to answer the most common questions first time piano buyers ask. What to Look for When Buying the Top Digital Piano under $1000? 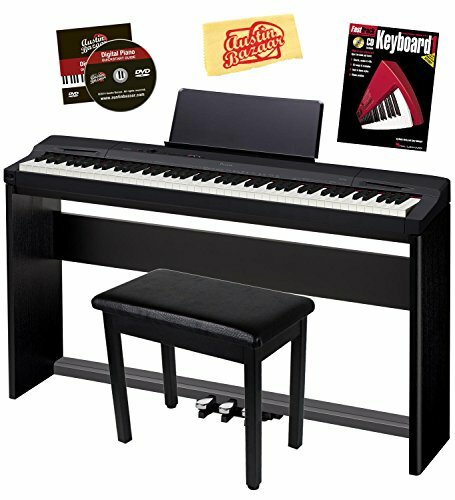 What Digital Piano for Beginners? What Digital Piano for Advance Pianist? Choosing a new instrument can be a daunting and time-consuming task, but we’ve done our best to make it as easy as possible for you. But we would still recommend that you take some time out of your busy schedule and read carefully all the information we have gathered. Pour yourself some tea or coffee, relax in the sofa and make a nice moment of your piano shopping! 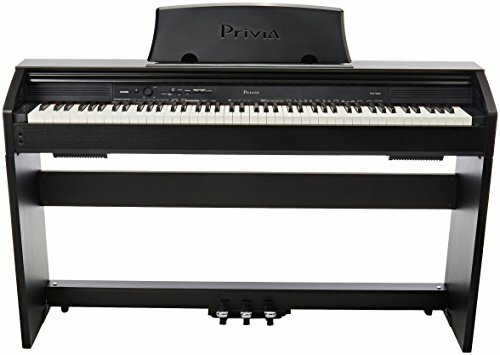 Looking for a cheaper digital piano? Check out our guide and review on the top digital pianos under $500. 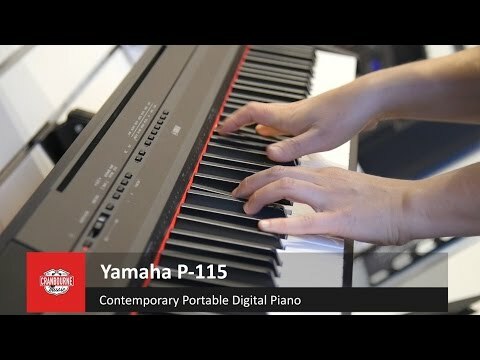 Let’s start off with a really good digital piano from Yamaha, P115. It’s a full-sized, 88 key piano and has weighted keys and graded hammer standard action, so it feels very nice to play. 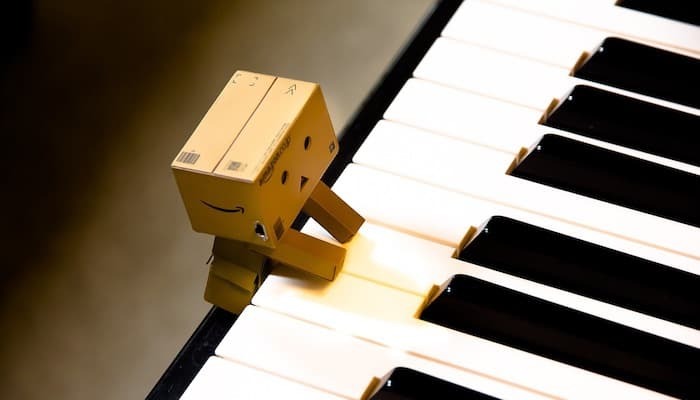 When you strike a key on an acoustic piano a graded hammer standard inside the piano strikes on the strings, and make the piano sound, and this piano imitates that feeling, so the harder you press, the louder the key will sound and so on. This piano has a few nice features, for example an app that you can use to change and save your settings. It has 14 different instrument sounds and you can get piano accompaniment by just pressing down a chord and letting the piano do the rest. The piano looks stylish and comes in black or white. The sound is sampled from a concert grand piano and sounds really good. The P115 and P45 which you’ll find as number three on this list are quite similar, so we really like this blind test where you can listen to them both without knowing which is which until after you’ve heard them. It’s a fun game as well! Why We Liked It - This is a great piano for all kinds of pianists, no matter if you’re a beginner or an advanced player. It sounds amazing and it’s a fun feature that you can control it using an app. 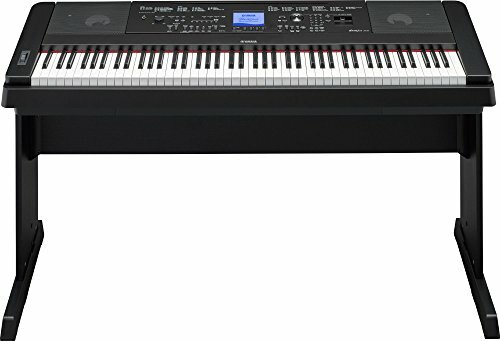 If you are looking for a digital piano because you need to be able to turn the sound down and connect it to a computer or a tablet once in a while you might want to take a closer look at Yamaha YDP143R. It’s a console piano, so it looks a lot like an acoustic piano and has three pedals. If you have some space at home to dedicate to a piano, you can just as well choose this piano and get a really good instrument. Sure, it does take up a little more space than some of the others, but it looks really good, so that doesn’t matter. It’s available in dark rosewood and black walnut. The piano feels amazing to play since it has graded hammer weighted action keys and the sound is sampled from a concert grand piano, so this is about as good as digital pianos get. The low keys feel heavier and the high keys lighter, so it feels very natural to play. There is an app that you can use to change and save settings, which makes everything a bit easier. Curious about what Yamaha themselves have to say about this piano? Check out this video! Why We Liked It - If you are a pianist that is serious about your piano playing, you should get yourself one of these! It’s outstanding and will enable you to practice the piano at a lower volume but still keep the feel of an acoustic piano. If you want to buy a weighted action digital piano that is quite basic but still works well you might want to take a closer look at Yamaha P45. 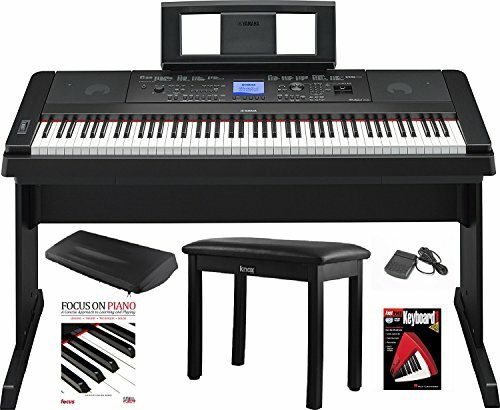 This is the perfect weighted action digital piano for those who don’t want too many buttons and extra stuff. It’s sleek and slim and is a good option if you live in a small apartment and don’t want a piano that takes up too much space. The piano has weighted keys and it’s nice to play with a ‘real piano’-feeling. The low and high notes react slightly different when you strike them, just like an acoustic piano. If you want to change the sound there are a few different instruments sounds to play around with, for example, organ and strings. 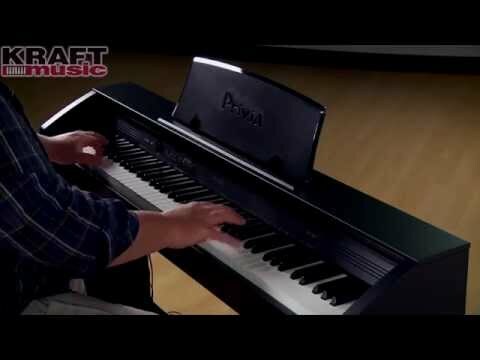 Here is a great video review that will tell you everything you need to know about this piano. You’ll also hear all the different instrument sounds. Why We Liked It - If you are one of those people who view a digital piano as the second best option and would rather have an acoustic piano if you were able to, then you will like this piano. It’s nice to play and doesn’t have a lot of extra features that you’ll never use. It’s light-weight and slim and easy to move around as you please. Next up is a piano that is great if you love to be creative and sing while playing the piano. The Yamaha DGX-660 has a display that will show your sheet music and lyrics. You can connect the Yamaha DGX-660 to a computer and it has a microphone input. The Yamaha DGX-660 also has an accompaniment helper so that you can play a chord and get accompanied in the style you want. It has over 200 styles and even recommends styles that suit your song if you like! The Yamaha DGX-660 has an audio recorder and you can either connect it to your computer or save the music on a USB port stick. The piano is available in black and white. Why We Liked It - This Yamaha DGX-660 is the perfect piano for creative musicians who love to perform and compose music. If you like singing you’re in luck- the piano has a microphone input and will show your lyrics on the display, so you’ll never forget the lyrics again! The piano has 200 different styles that it can accompany you in, the only thing you have to do is pick one (or play a few bars from your song and let the piano pick for you!) and play the chords. If looks are important to you you’ll love Casio Privia PX-160! It’s available in classic black, which is nice enough, but the piano really shines in the second color option which is a champagne goldish color that looks amazing. The piano is also very slim and sleek and is perfect if you want a compact piano that is easy to move around. 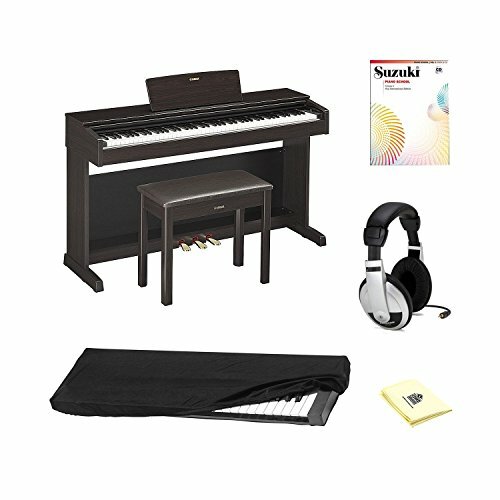 The piano has 18 different instrument sounds and extremely good built-in speakers for this price point. If you want to record or compose music you can easily connect it to a table or computer with MIDI. It comes with a 3-year manufacturer’s warranty, which feels good. It means that Casio not only takes responsibility in case something should be wrong with your piano that isn’t your own fault, but they also have great confidence in their products. 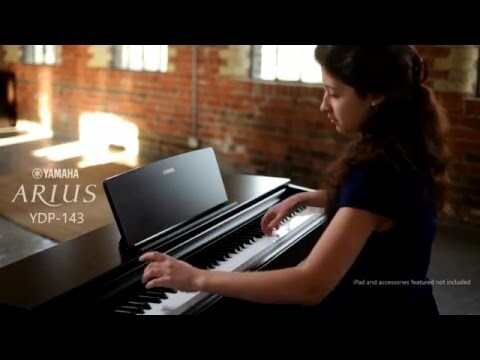 Here is a good overview and demonstration of this piano that we think you should watch! Why We Liked It - You might ask yourself, “What is special about this piano? Why should I pick it over all the others?” The answer is: It looks great, which is the thing about it that stands out the most, but it also sounds wonderful and has really good built-in speakers. Check out the Casio Privia PX860 as an alternative. 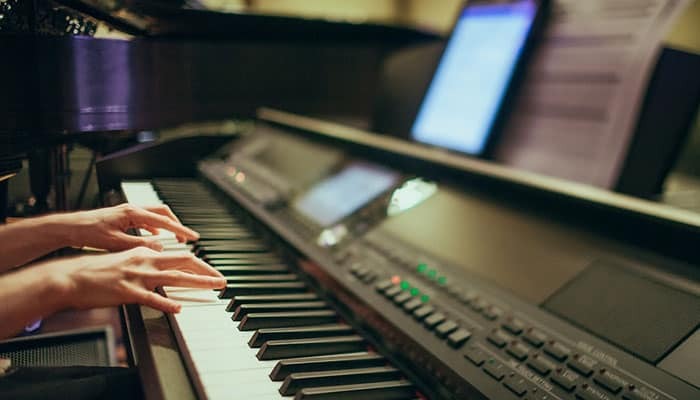 Many adult beginners wish that they would have time and money for piano lessons but know that they won’t be able to commit fully. Then this piano from Alesis might be a great alternative! 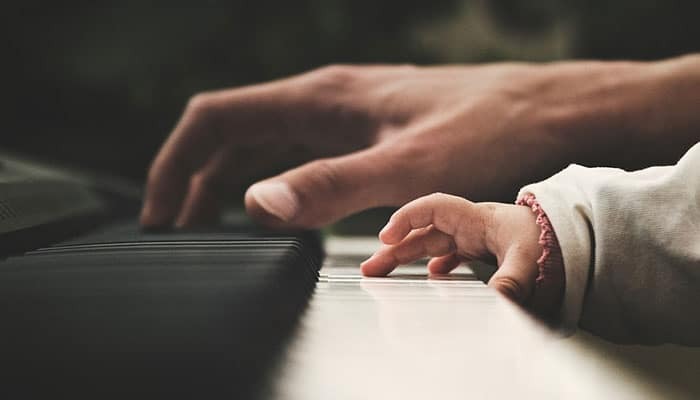 A 3-month premium subscription for interactive piano lessons online is included with this piano, which is a good introduction to the instrument. This is a full-sized beginner piano that has an adjustable touch sensitive response, so you can choose how light or heavy the keys feel. Another good thing about this piano is that you can split the keyboard (known as split keyboards) into lesson mode so that you have to identical halves, making it easier for the teacher to demonstrate. You can also layer different instrument sounds, for example, if you want to play with both the string sound and piano sounds together. This beginner digital piano connects easily to a computer via USB MIDI if you want to record your music. You could also try a beginner keyboard here. Curious to learn more about this piano? Watch this video! Why We Liked It - This is a great piano for beginners that sounds wonderful and is nice to play. The 3-month subscription to online lessons is a big plus as well! If you want to find a console digital piano that is a really good substitute for an acoustic piano, this might be the right piano for you. It has three pedals and looks like a proper piano, if you know what we mean. 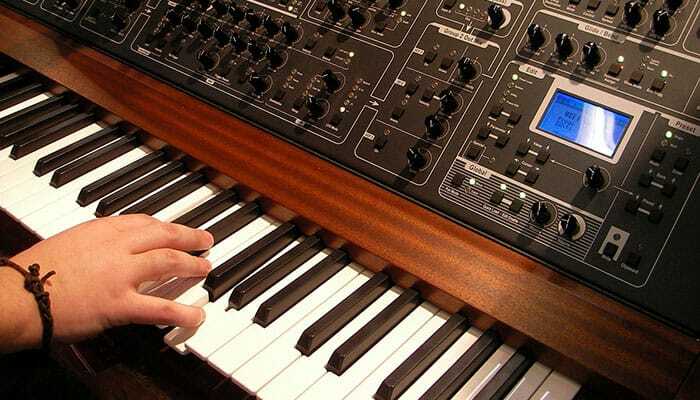 The keys have an ivory feel and scaled hammer action so that it feels like playing an acoustic piano. It has a built-in metronome and a transposing feature and you can split the keyboard in half so that a teacher can demonstrate music in the right octave. You can also layer two sounds, for example, piano and strings. The piano is available in three different colors; black, white and brown. Here is a really good review that will tell you everything you need to know about this great piano! Why We Liked It - This is about as close as you can come to an acoustic piano. It gives you that real piano feeling and both the sounds and the feel are very nice. It has a 3-year manufacturer’s warranty, which is nice and it’s available in three different colors. 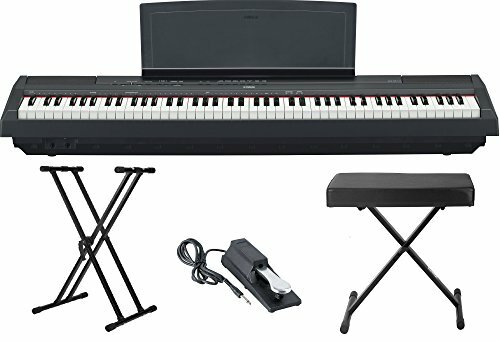 Yamaha P71 is an Amazon exclusive piano and is a top digital piano. It’s full-sized and has ten different voices to play around with and it’s possible to layer two voices. The weighted action digital piano is very light and doesn’t take up much space. It’s a great addition to any apartment, no matter the size! You can connect it to a computer via USB, which is great if you like to compose and record music. Why We Liked It - It’s hard to find a reason not to buy this piano. It does exactly what it says on the box, it’s affordable and easy to move. 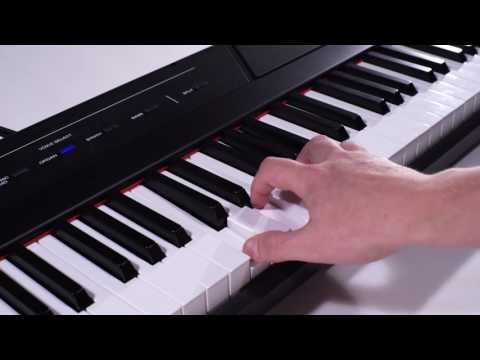 All the qualities that are important in a digital piano! Let’s take a closer look at Casio PX860. It’s a full-sized piano with hammer action keys and touch sensitive response, which makes it really nice to play. You can even choose how sensitive the keys are, and there are three different levels of sensitivity. The piano sounds wonderful since the sound is sampled from a 9-foot concert piano. It also has three pedals (sustain pedal and power), so anything you can play on a regular piano, you can play on this as well. This digital piano even has a lid that you can choose to open if you want to change the tone manually, which makes it feel even more like a real piano. It comes with a 3-year manufacturer’s warranty, so you can feel safe. Why We Liked It - If you love playing classical music and you want the best piano sound you can get, but for some reason need to have a digital piano instead of an acoustic one, you should definitely consider this one. It sounds amazing and it even has a lid you can open! If you want to find something for your kids that’s not really a serious instrument but more like an upgraded toy, RockJam might be what you’re looking for. It’s clearly designed for children, and only has 61 keys. This is not the right instrument for little upcoming virtuosos, but more something you would buy for your kids to encourage them to explore music in a fun way. It has 100 rhythms and 100 different instrument sounds, and any kid would love to play around with different settings. They even include 30 free songs in the Piano Maestro app for iPad, which is an amazing resource that teaches kids the piano but feels more like a game than a chore. A stand is included as well as headphones and a stool. Here is the cutest unboxing video ever where you can learn more about this piano. Why We Liked It - Many musicians would hesitate calling this a proper musical instrument, but it’s still a great way for kids to become more interested in music and learn to play a few basic songs. We feel pretty pleased about this list, we’ve managed to find some really great pianos on the market and now it’s up to you to pick one that is perfect for you. If you find it hard to decide, try making a list of perhaps three different pianos that you’re choosing between and list the pros and cons. If you still have no idea which one to go for, try going to a music shop and play the pianos you are interested in. That will definitely help you decide! But what if you still feel like you don’t have any energy to read up on all ten instruments before you make your decision? In our buyer’s guide, we have answered the most common questions, for example, what pianos on the market suit beginners and advanced players. Hopefully, you will find that information helpful! And we would also want to recommend the YouTube videos we’ve linked to, which will also be a good tool to use. We wish you a happy piano hunt and hope that you’ll be able to find a piano that will bring you joy and musical experience for many years to come! 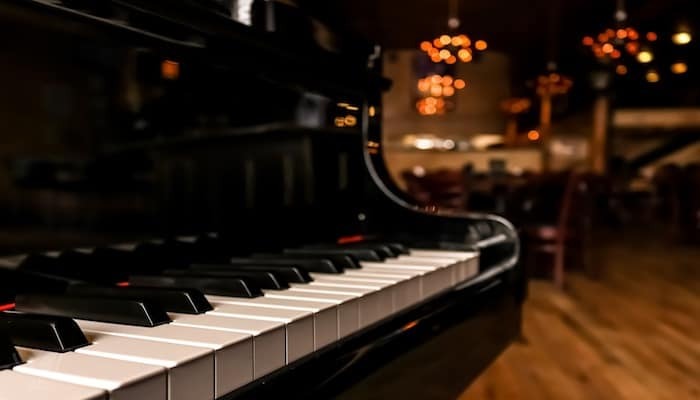 We recommend that you look for a piano that has 88 keys and weighted keys and weighted hammer action so that it feels like playing an acoustic piano. 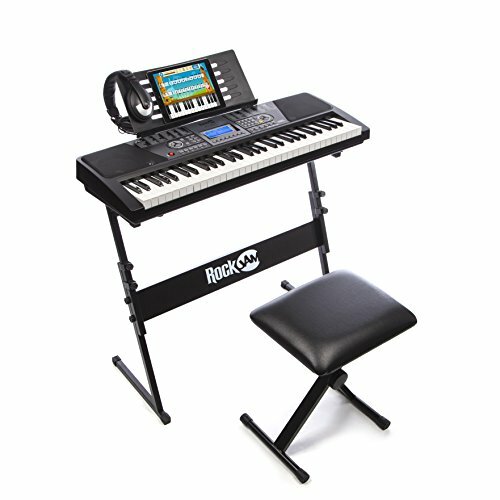 You should also look for a piano that has a sustain pedal included and MIDI controller, in case you want to connect it to your computer or perhaps a tablet or smartphone. 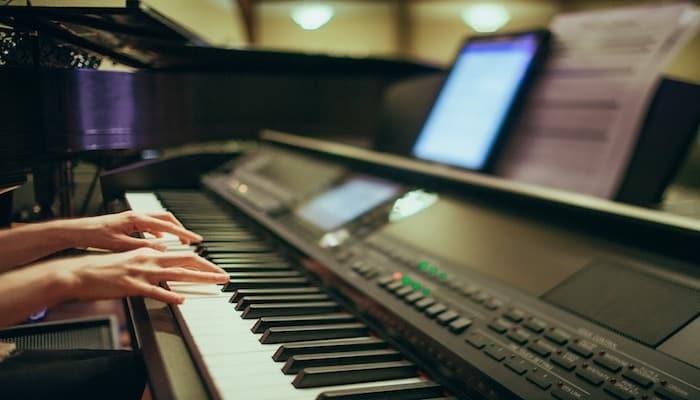 Some pianists want to be able to choose between different voices, for example strings or wind instruments, so this is also something you should look into and consider what you want from your piano. Another good thing if you are taking or giving piano lessons is to be able to split the keyboard in two identical parts, so that the piano teacher can show the student without playing in the wrong octave. 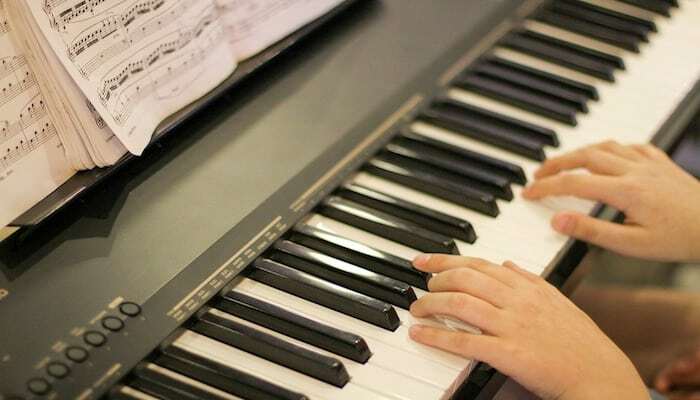 Different pianos will have different tools included, for example will pianos that are especially designed for beginners often include piano teaching software in the form of games or instructions that teach you to play different pieces, which can be a good complement to regular piano lessons. Sennheiser makes great headphones, for example their HD-280 PRO or HD 598 or their Momentum headphones. Consider buying over-ear headphones, since they are the most comfortable to wear when you’re playing. We would recommend pianos on the market like Yamaha P115 and P45. 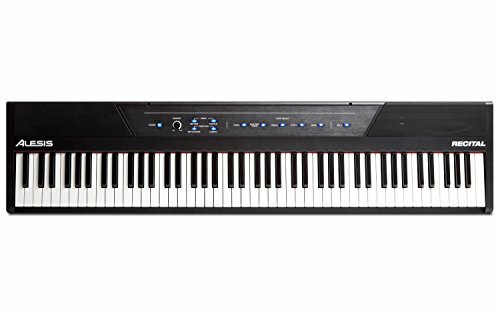 Alesis Recital is also a great piano for beginners since they provide you with everything you need as a beginner. If you have a kid that you want to buy a piano for you could consider RockJam, which is somewhere in between a toy and a proper piano, it’s not a piano the kid can use for many years, but it will boost the enthusiasm for music and composing. Yamaha YDP143R is great for advanced pianists, we would say it’s almost as good as an acoustic piano. 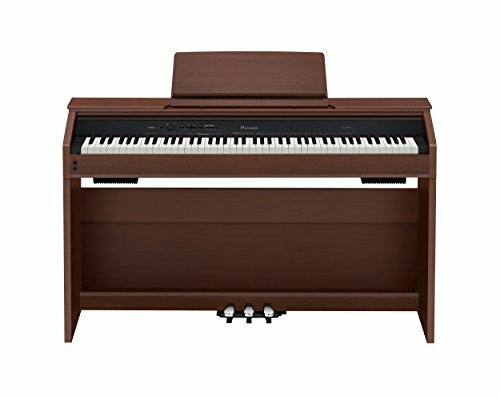 It’s a console piano with three pedals (sustain pedal and power) and amazing sound and feel, so it has everything you need. Yamaha and Casio are the two biggest brands when it comes to digital pianos and they have a lot to choose from. Roland also makes excellent pianos. While this is a question that different people might answer differently we do have our favorites. We like Yamaha YDP143R a lot, and also Alesis Recital. When it comes to musical instruments, you get what you pay for, so make sure to invest in a high-quality piano- you won’t regret it! 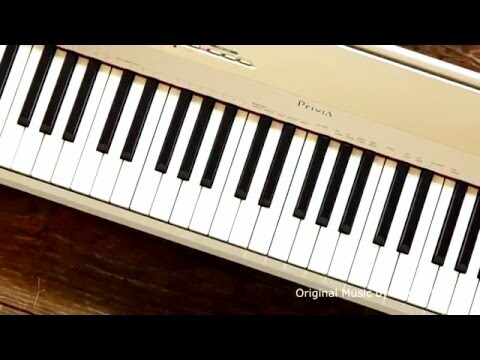 The world’s first completely electric piano was launched in 1973 by Roland.